Far more green card applicants will now be required to go through an interview, the Trump administration announced Monday. It's a step that could add a substantial slow-down to getting permanent residency in the US for immigrants. The new directive stems from Trump's executive order known as the travel ban, which put restrictions on who could enter the US, titled "Protecting the Nation From Foreign Terrorist Entry Into the United States," according to USCIS. It is also designed to combat fraud, the agency said. Monday's order doesn't affect other broad categories of people generally exempt from interviews, including fiancés and parents of US citizens. But USCIS said in an updated release Monday afternoon that the agency plans to incrementally expand interviews in other categories. 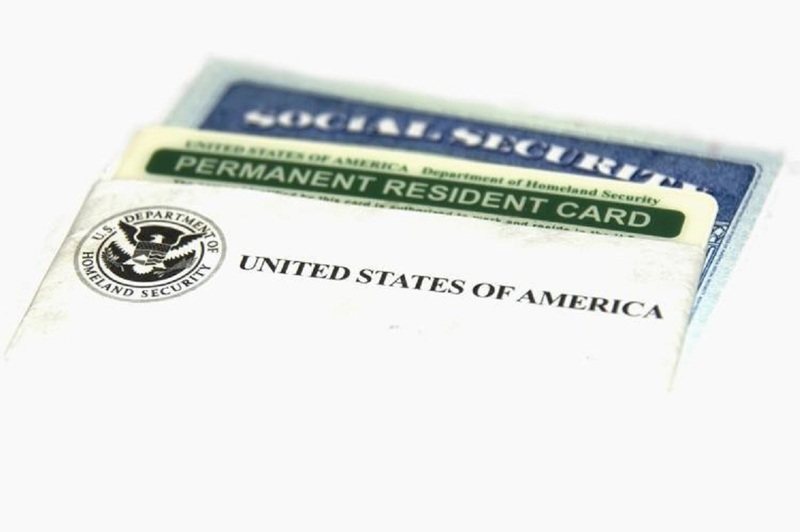 But former Obama administration USCIS Director Leon Rodriguez questioned the the decision to institute interviews for all employment-based applicants, saying it doesn't seem to be matched to a particular threat of fraud or national security. "You are applying a limited resource to do this," said Rodriguez, now a partner at Seyfarth Shaw. "The question is, why? Really, in terms of the ways you could be screening people in for interviews, why is employment-based a risk, compared to other categories and other ways that you might screen for risk? And I'm not sure that I'm able to tell you why I would put all employment-based green card applicants at the front of the line for interviews as opposed to anybody else." Another concern for critics of the decision is the length of time it could add to the green card application process. According to a tracking tool maintained by USCIS, as of September 30, 2016, it took an average of 333 days, just under one year, to process employment-based applications -- that was with the interview waivers that were being granted. The new policies could affect roughly 180,000 people per year, according to 2015 statisticsreleased by USCIS. USCIS says it is working to put in place "enhancements in training and technology" to deal with the added caseload and also transition some of the case management procedures. "USCIS is collaborating with our federal partners to develop a uniform baseline for screening and vetting standards and procedures," the agency's acting-Director James McCament said in a statement. "Part of our USCIS strategy to support this uniform baseline is the incremental expansion of interviews for those benefit types which would provide permanent residence in the United States." Rodriguez said it's hard to know yet how much the new policies could slow down the green card process, but said it "will absolutely have an impact." "The right way to do this is to be risk-based," Rodriguez said. "To have evidence as to where your risks are and to use resources based on where your evidence shows you the risks are found ... So of all the areas to use that resource, I'm a little mystified as to why this is the one they're focusing on."